WOW! Amazon has a Lovely Copper Plated Owl Necklace for only $1.59 shipped! This would a great present for any Owl enthusiasts! Condition:100% Brand New.Material:copper plated metal. 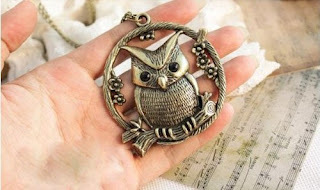 Vintage copper style with lovely round owl shape design.